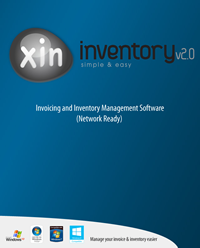 Xin Inventory - network invoice software create quotation, invoice, purchase order. I have two Tax Slabs as available in INDIA, and i need to Print the tax charged on each product and need to show the same in the invoice printed for the client, so please suggest the action required for the same from my end. Interesting but is it also possible to include taxes and items description on receipts? It is in fact mandatory in Thailand. Hi, currently the taxes not printed in the receipt. We will put this in our enhancement list for future enhancement. We will let you know once added in the software.